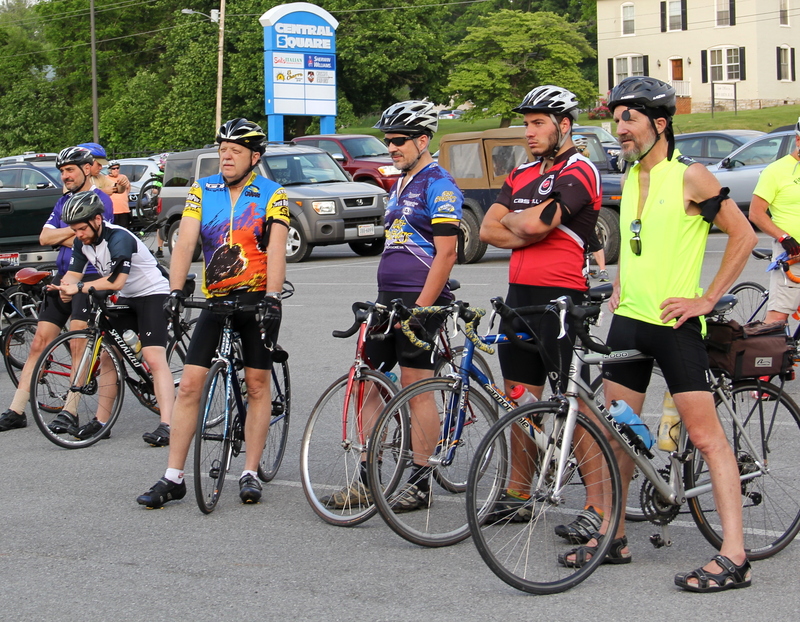 The 7th Ride of Silence in the New River Valley (NRV) of Virginia was a great success. 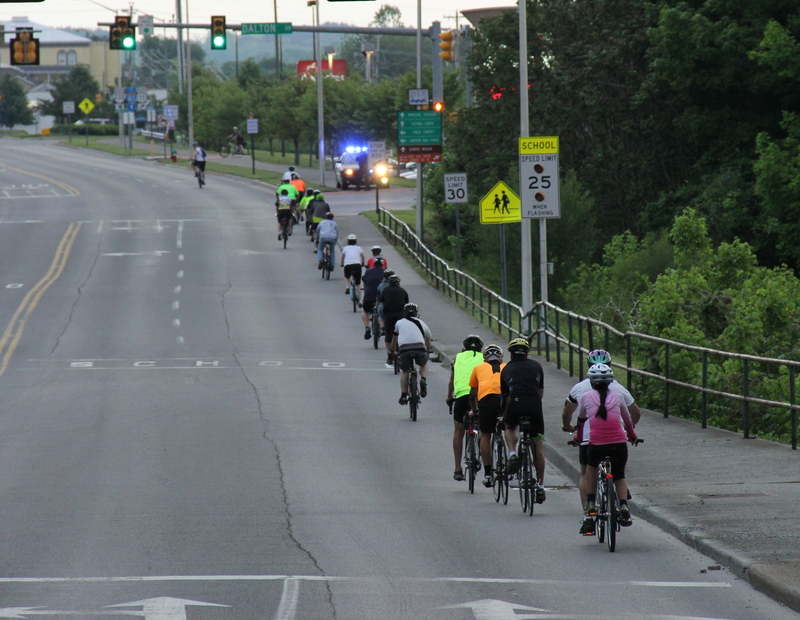 We had over 100 participants in this annual event to honor and remember those injured or killed while riding on public roadways. I’ve not seen the total numbers from around the globe, but I do know that there were 313 rides held in the United States alone. It is incredibly powerful to know that you are riding with people from all over the world … on the same date, at the same time. It is also incredibly sad to think that these events have to be held. 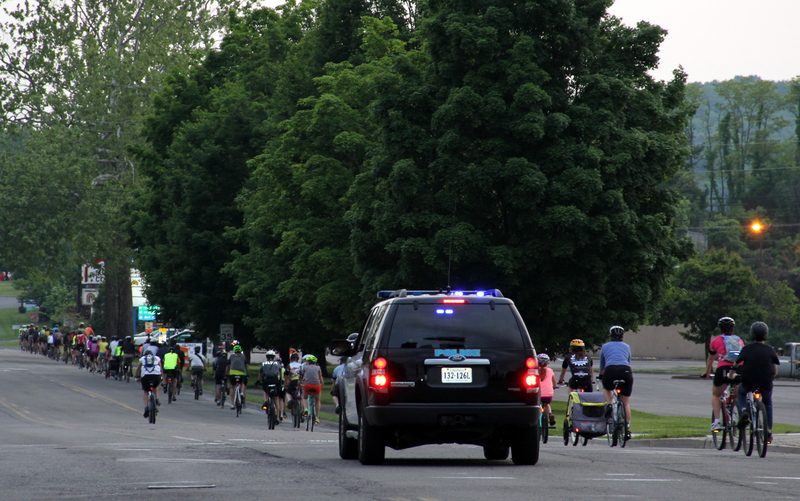 Cyclists of all ages and riding ability are escorted by local police officers in a slow procession through the city, sending a message that we will not be silent about those injured or killed on the road. 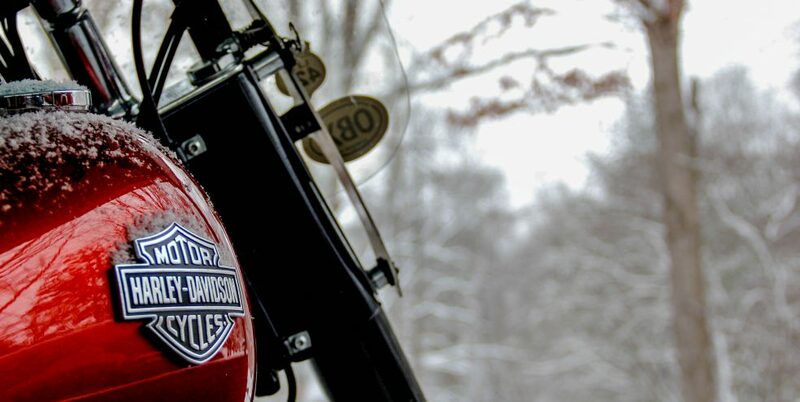 We do ride in silence and it’s an incredible moment. 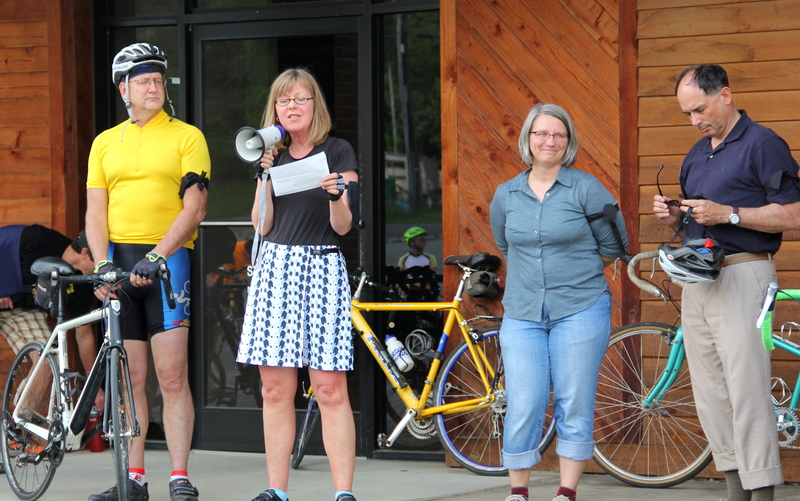 One of the riders wrote about the event in her blog The Chronicles of Cort the Sport. I encourage you to check out her account. Cortney commented that “Cycling is therapy, it’s transportation, it’s freedom, it’s happiness. But sometimes it’s also tragic. 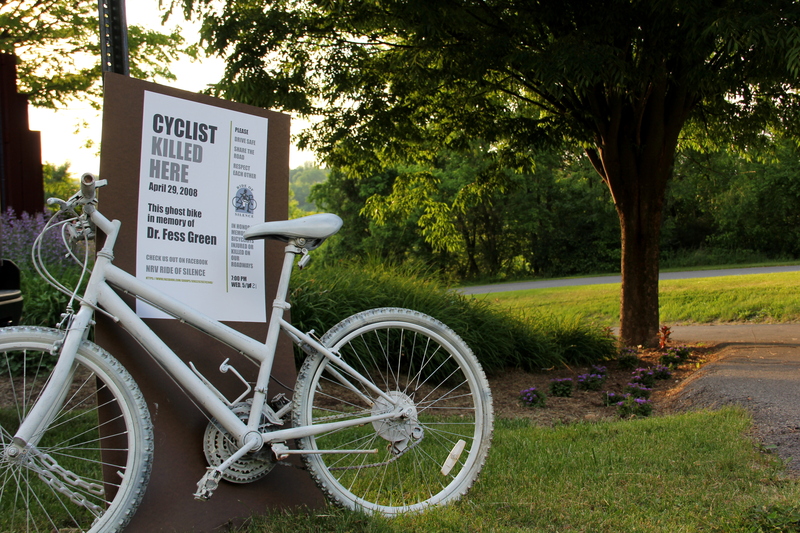 This ride, with the ghost bike of killed cyclist Fess Green, was both a reminder of the dangers and a celebration of the community. I’d encourage others to take part in (or start one!) a Ride of Silence in their community next year”. 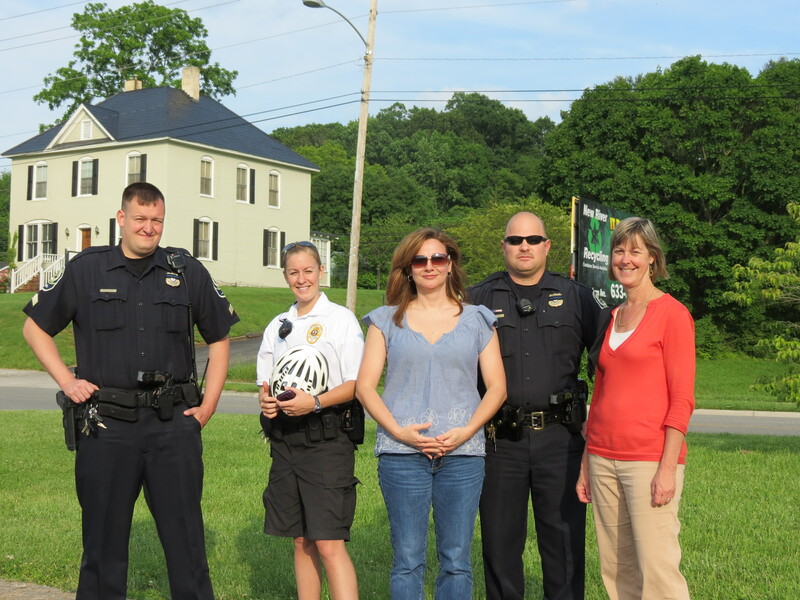 We are incredibly fortunate to have the support of the City of Radford local government and the Radford City Police Department. 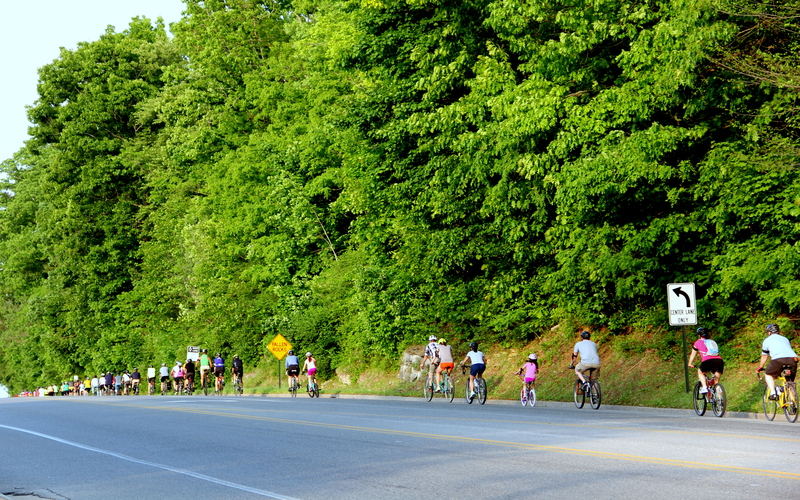 and this next shot from the 2012 Ride. 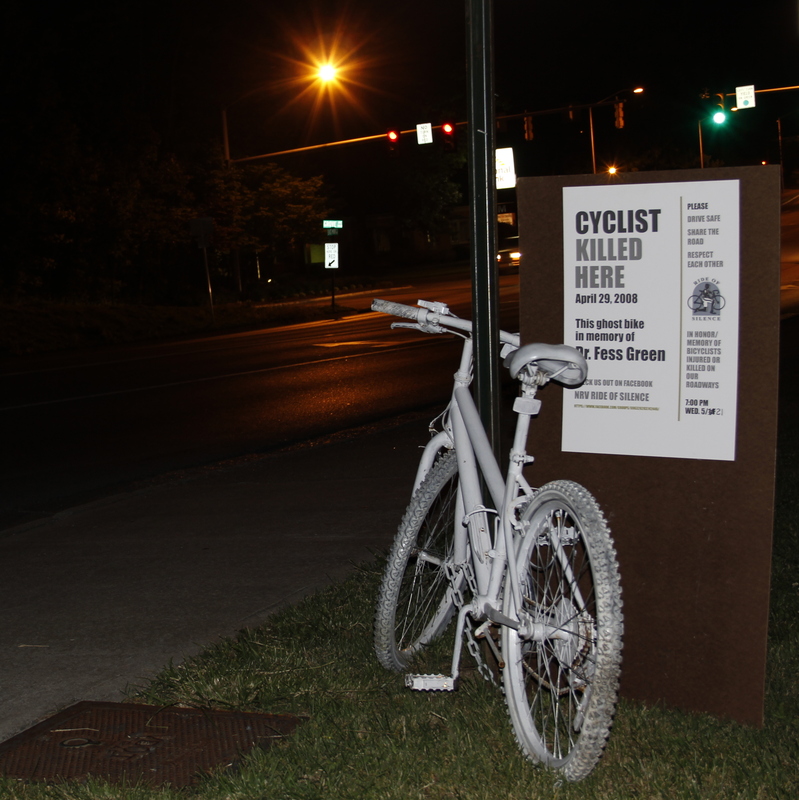 Thanks so all cyclists around the world for participating in the 2014 Ride of Silence. 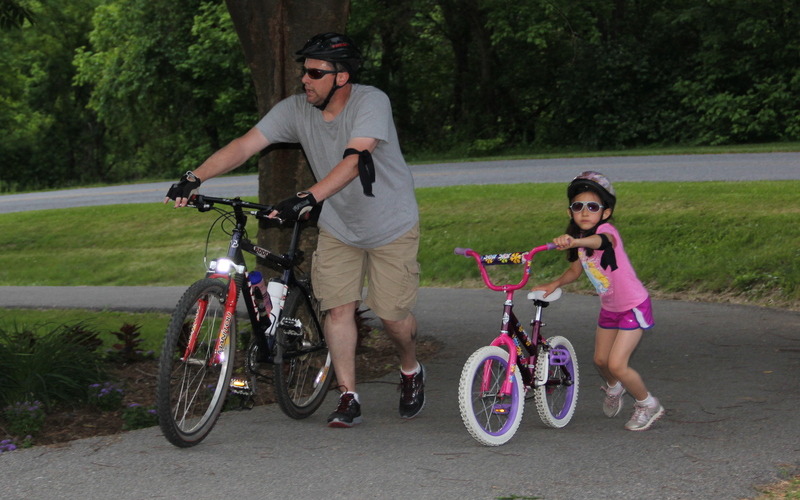 It is not just cars that use the road … pedestrians, runners, cyclists, and motorcyclists, too. 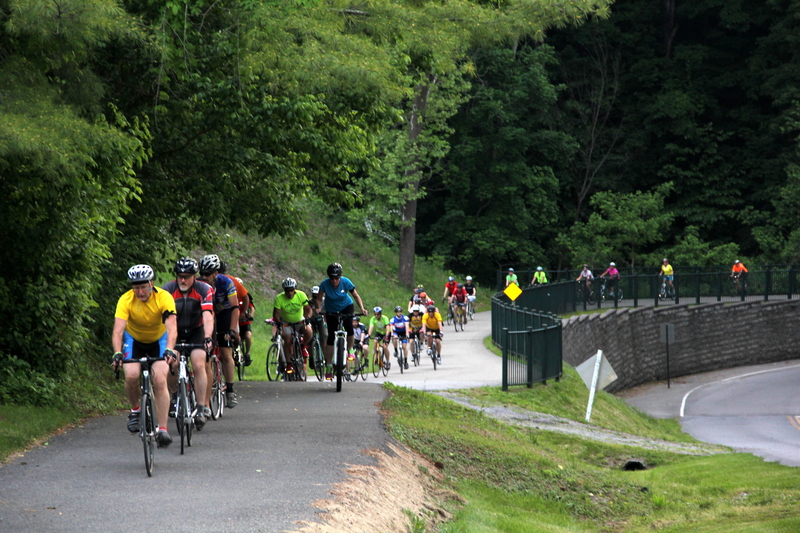 This entry was posted in Bicycling, Photography and tagged Bicycling, City of Radford, Cycling, Death on the Road, New River Valley, Ride of Silence, Share the Road, Virginia. Bookmark the permalink. Thanks for another reblog about an issue near and dear to me!! Well done, LB….very nice post….nice tribute. Thank you … it’s quite an incredible event. An important message to motorists and cyclists too. 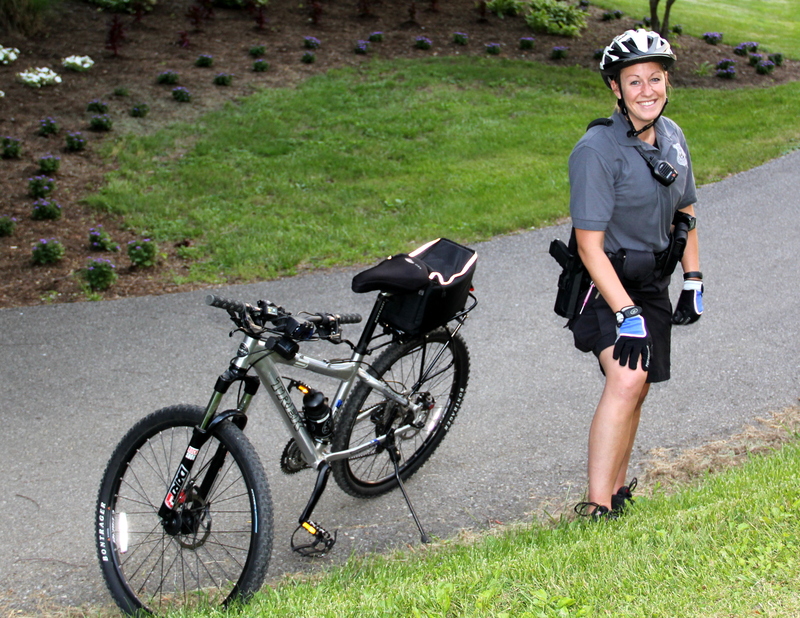 Courtesy and alertness will go a long ways to ensuring a safe summer. I think your city is really beautiful LB. 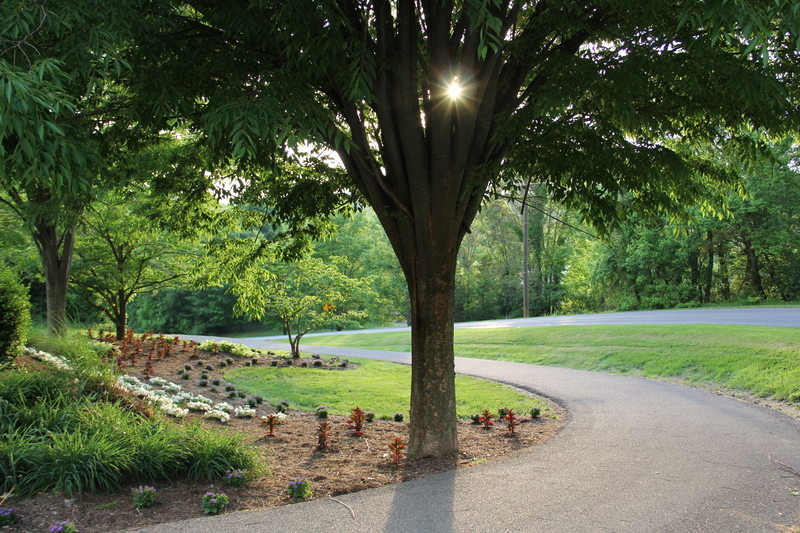 All the pathways and large trees are very welcoming. Thanks for sharing the event. I enjoyed all the photo’s but especially the 2nd to the end. The glimmer of sun coming thru the tree is like a glimmer of hope for new awareness. My sympathies to Dr Green’s friend and family as well. You are so right about the message going both ways. The special guest we had emphasized that if we want to change laws, cyclists need to obey the laws, too. There is a power that is easily evident when a large group of people gather together in silence with a single intention. For me, so far away, it is evident in your photos. I think this is a wonderful way of raising awareness and honouring those who have lost their lives. My daughter has recently been first on the scene to attend to a young man knocked off his bike on the one way in our city, this time not a tragedy thank goodness – but she has also witnessed the death of another cyclist who was hit by a truck in the same vicinity. This city has recently responded to many similar events by placing ugly, collapsable bollards along the boundary lines of cycle and car lanes. It remains to be seen if these will help alleviate the problem. It’s kind of like changing a culture … ever since cars came about and took the horses off the roads over a century ago. Your daughter, I am sure, sees some devastating things … thankful for people like her! Thank you, Jordan. It’s what happens to bikers, too (and now I know that for personal experience). Thank you for this moving chronicle, dear friend. We sure missed you this year, Liz! It really is a powerful thing, Callie. Thanks! 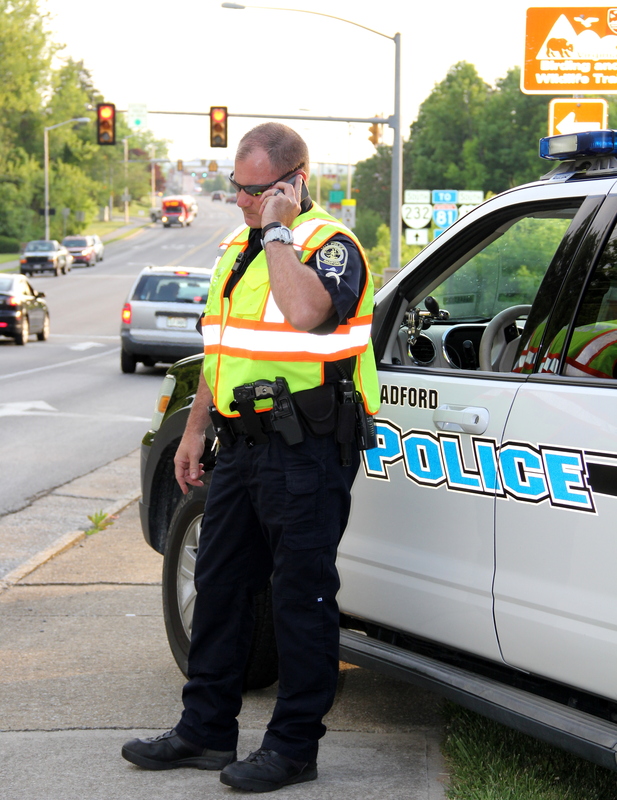 this is a great post … a reminder … to share the road. thank you for sharing your thoughts & photos. I’m so glad you came to see this post. Such an important issue! I am glad this post notes the name of the cyclist who died at that spot. Hopefully it’s of some comfort to the family that we now have the name of Fess Green in our heads. Hopefully thinking of him as a person will make us all more aware of cyclists when we share the roads with them. Crystal, you are such a compassionate, thinking woman and I love that! The sign was enlarged this year and I agree, putting a name to the tragedy makes it more real. A great event, and post Laurie! Interestingly I hadn’t heard of this event. I wonder if it has been held in Estonia/Finland. Beautiful, Laurie. Thanks for taking part in something so important. How very sad, too. You captured some wonderful shots to tell the story of the day.